The oil industry is braced for an increase in Iranian production after many sanctions linked to its nuclear programme were lifted. Iran’s re-entrance into the international oil market comes as their rift with Saudi Arabia escalates to the worst conflict in decades between the two countries. Experts are warning the conflict could manifest itself in an intensified battle for oil market share. Iran has put forward aggressive goals to increase production, whilst Saudi Arabia continues to produce in excess of 10 million barrels per day which, combined, could exacerbate already depressed oil prices in an oversupplied market. Sanctions have been slowly lifted after the passage of a historic nuclear deal between Iran and several western powers in July 2015. The deal exchanged the lifting of sanctions against Iran for an agreement to give up 99% of its enriched uranium and close monitoring. UN inspectors said Iran had dismantled significant elements of its nuclear programme, and thus, economic sanctions were lifted on Saturday after it was confirmed the country had complied with the terms of the deal. 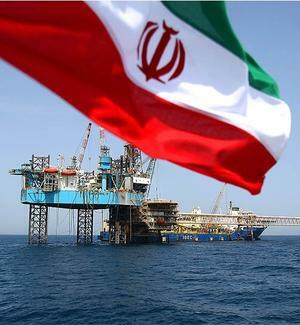 However, it could take another nine months before Iran makes an international oil deal. Iranian officials have said they expect to increase production by 1m b/d within six to seven months of the sanctions being removed, and return to 3.4m b/d within 12 months. Energy analysts, however, deem this estimation to be overly-ambitious. Some market observers are saying that Iran’s return to the international market is already reflected in low crude oil prices, whilst others are saying it could further worsen the downward trend in oil prices. Global oil prices have fallen significantly over the past year due to exceptional production in the Middle East and a shale boom in the United States, increasing supply whilst demand from emerging markets has dropped. This high supply and low demand imbalance has pushed the price per barrel to $30 per barrel – a 12 year low.